Today I'm going to review a natural mascara from 100% Pure cosmetic. A natural fruit pigmented mascara, is that even exist? Yes, it does ! I was jumping into a joy of pool when I first trying out this mascara, It really melt my heart because the fact that it is a natural mascara and it smell like chocolate. Who doesn't like chocolate ? Maybe some of you. But a mascara that smell like a chocolate, Imagine you wake up in the morning and you know you putting on mascara with great ingredients and it smell like chocolate, doesn't that make your day even awesome ? Let see if a natural mascara works. Let's get started with my review. 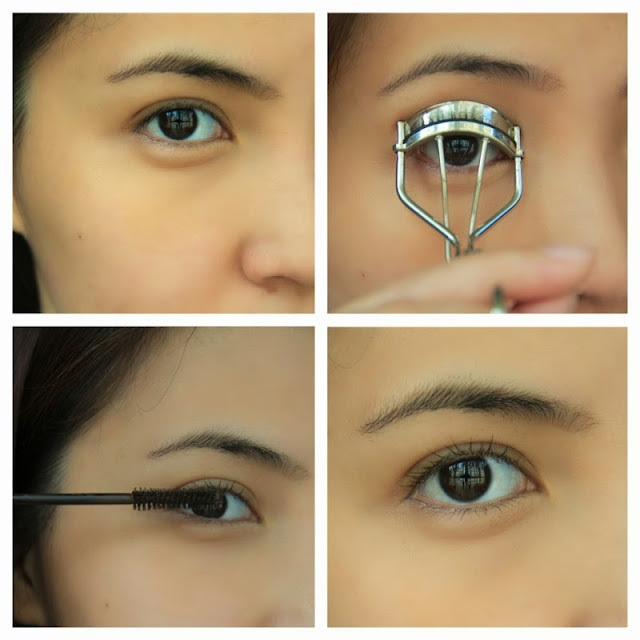 How to use: Curl your lashes with eyelash curler, then directly apply mascara with first coat and wait for few second and apply (wiggle the want to separate the eyelashes) second coat for lengthening. The mascara is in a silver packaging like a bullet . 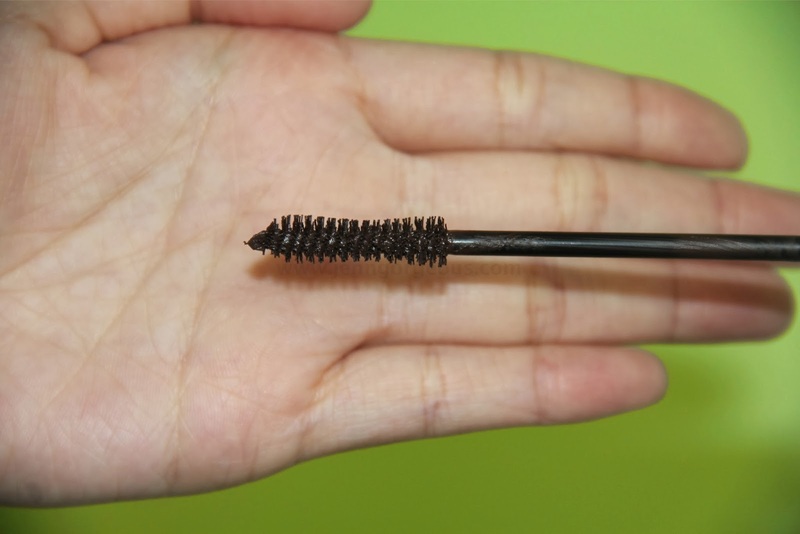 The mascara bristles slightly curve for easy application . - contain lash conditioning provitamin B5, vitamin E, Oat and wheat protein conditions for healthier lashes. - suitable even for sensitive eyes. Overall, I really love this mascara. I love that it is 100% natural ingredients, and it help me to open up my eyelashes, separate my lashes with fair lengthening effect with no clumping. It doesn't smudge, I can wear it whole day without noticing any fall out. It also easy to remove. It is suitable for everyday wear. Even if you have sensitive eye or you are wearing contact lenses, you will feel comfortable with this natural ingredient mascara. But I don't think you can wear this to the pool, it's not waterproof. And it seem like the product will dried out quickly. But it is still acceptable because it is a natural mascara that doesn't contain any toxic ingredients. This mascara using fruit pigment, and my mascara smell like chocolate. It's really a mood boosting in the morning after I applied it. 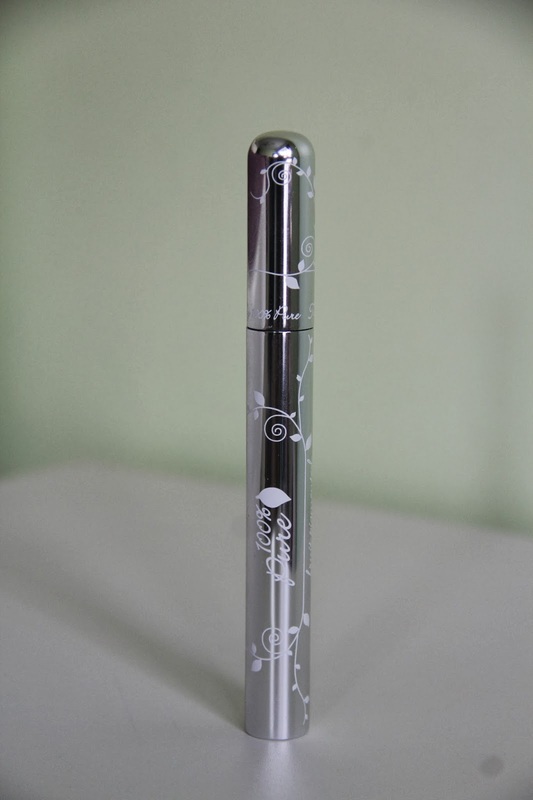 If you want something to make you look pretty at the same time bring no harm to your health because it doesn't contain any toxic ingredients then this mascara will be your choice. If you are a natural products lover, you can't miss this out in your makeup bag. This mascara is highly recommended, and I will be re-purchase this mascara. So what do you think ? Will you try out this mascara ? Or you have been using this mascara , let me know your thought. I have more 100% pure product review coming up soon ! so stay tuned !